The pinnacle of sophistication Medallion Award Plaques are distinguished by a 2" gold (or multi-color) medallion mounted inside a wreath medallion holder. Comes complete with a gold engraved qualifying plate backed by a colored vinyl border (except for 4x6 size). 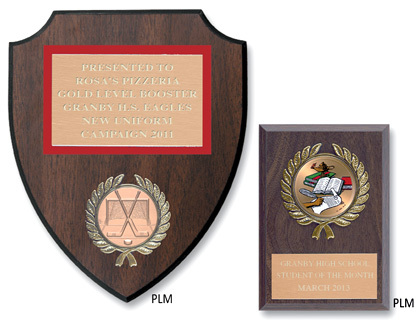 Personalize your plaques with custom engraved plates. Order online today!